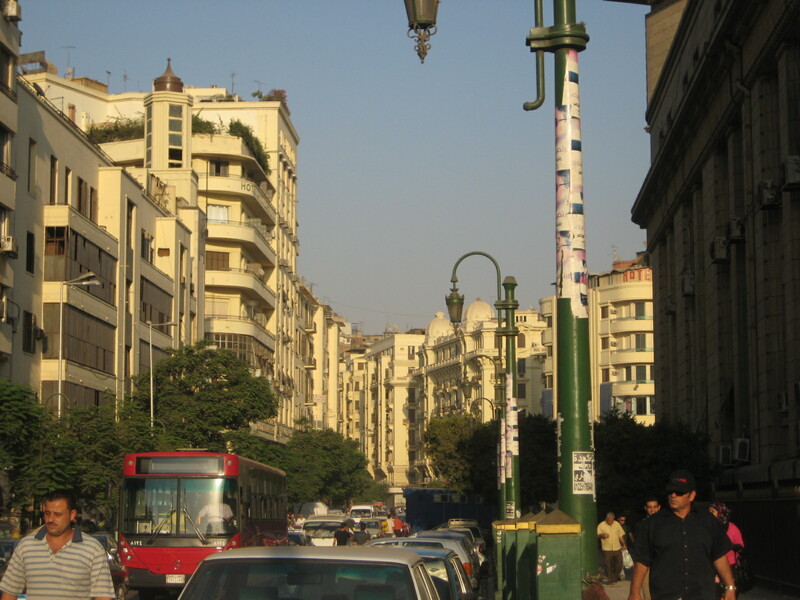 A few days ago, I and my friend were on our way to Fellaki Square in downtown Cairo, matters of international importance awaiting our attention. This is an area of Cairo that I don’t love since not only is it extremely crowded and noisy, but it boasts a thriving community of sleaze-balls that feed off the steady stream of tourists frequenting these parts. The only occupation of these folks is to slink around and bother the linen clad foreigners passing through. And even though I and friend have been here since June, our appearances are hopelessly foreign and therefore we are subject to the usual tricks of the touts and harassers. As we were walking, a man passes by us and says to my friend in English, “I like your shoes.” This was unusual. For some reason, the man chose to forgo the traditional “Welcome in/to Egypt” and cut straight to the bizarre chase: footwear. I and friend were confused but not intrigued enough to continue the conversation, so my friend said “Thank you” and we continued to walk away, our backs to him. Conversations that are already this strange when they begin are going nowhere we want to go. Yet he had more things to say at us about the shoes, shouting after us “How much for them?” This was still bizarre. Perhaps he was just performing his usual shtick, which involves him hanging around downtown waiting for the rare well dressed foreigner in order to heckle them about their shoes. For all I know he might have a candid camera show that he produces himself by uploading footage from his cell phone for a small but devoted audience. My friend, however, was not interested in selling his shoes, and I still harbored hopes of purchasing them myself and didn’t want to encourage anything. And so we continued on our merry way. The heckler was not to be ignored, however, and capped off his shoe conversation with both a non sequitur and the most creative end to a drive by harassment that I’ve ever heard. “Smile!” he commanded. Clearly, here was a statement that summed up the interaction perfectly. It was an uncalled-for statement that fit well with the unwanted and purposeless transaction as a whole. Furthermore, as most people know, there’s nothing more grin-inducing than strange men demanding you bare your teeth at them. Unfortunately, the mood had been soured by the failed shoe sale, so this last statement did not compel us to return, nor did it produce the appropriate feelings that would electrify our facial muscles and pull the sides of our mouths up into smiles. Sometimes, like right now, I wonder what would have happened if we’d stuck around for longer. Would he have pulled out any other gems, like “Your teeth are good. How much for it?” I don’t suppose I’ll ever know the answer, but then again, I don’t suppose I ever really want to talk to him again. Maybe I’ll watch his show.